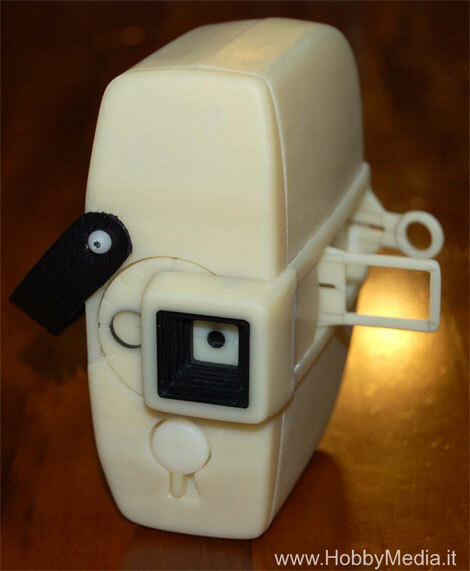 We first got word of a Gakken Single-8 movie camera kit in March 2008, in the form of some intriguing prototype pics (below). We also heard rumors that the company was uncertain about its release because of the limited amount of Fujifilm Single-8 movie film still available. Fuji produced a final production run of their R25N and RT200N color Single-8 films several years ago. They anticipated this inventory would be enough to meet user demand for 5 years. However, long-time Single-8 users could find themselves without Fuji-manufactured film sooner than anticipated if Gakken releases this camera. 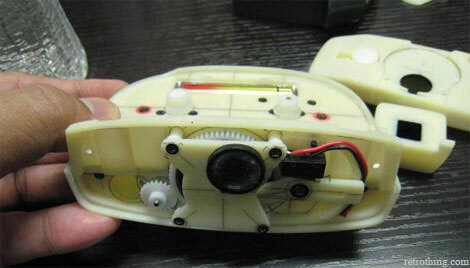 We were understandably surprised when Francesco Fondi at HobbyMedia showed us a couple of images from the June 2008 Tokyo Toy Show that included the prototype camera on display. He followed up with Gakken, and confirmed that the company has plans to release the camera sometime next spring. Gakken's Single-8 camera design is the essence of simplicity. The Single-8 cartridge format was Fujifilm's answer to Kodak's popular Super 8 design - both films share the same physical dimensions, although they come in differently shaped cartridges. 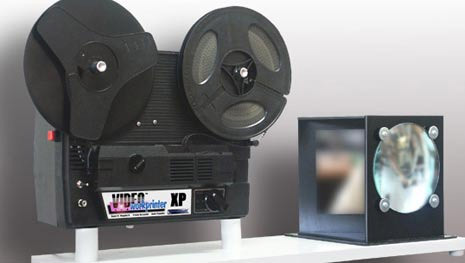 This means that any Single-8 film can be projected using a Super 8 projector. The camera is powered by a single AA battery and accepts 15m film cartridges, which last 3 minutes when shooting at 18 frames per second. The viewfinder is a simple gun sight mechanism on the side panel and the lens aperture is set manually. There's no zoom and it doesn't record sound. All in all, this is not an impressive cinematographic device - even by the standards of the mid 1960s. 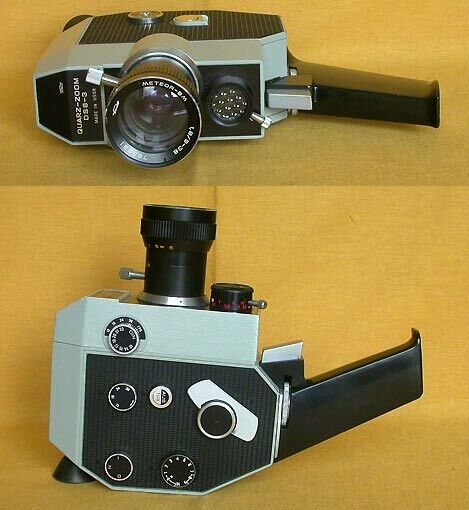 That said, it is the first newly designed 8mm camera in over two decades and I can't wait to get my hands on one! 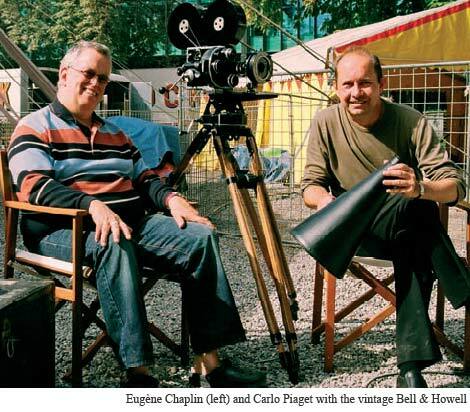 Award-winning cinematographer Carlo Piaget recently shot his 10-minute film Circus on a 1918 Bell & Howell 2709 camera once used by silent screen legend Charlie Chaplin. 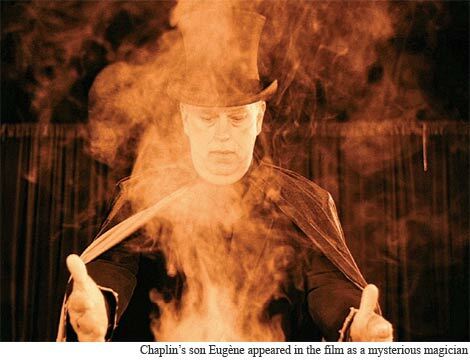 The project came about after a chance meeting with Chaplin's son Eugène, who also stars in the film. "Circus opens in a foggy city as an agitated man is distracted by his mobile phone. He stumbles and finds himself pulled into a seemingly deserted circus. He glimpses a dancer, then a magician (Eugène Chaplin) hypnotises him via a spiral of zoetrope images. When the man wakes up, the circus has vanished but a circular mark on the ground and the music on his phone prove that his experience wasn’t a dream." Before filming, Piaget painstakingly disassembled and restored the 90-year-old camera and located a set of vintage motion picture lenses. The unmodified camera had to be hand-cranked. Vintage silent films were usually shot at 16 frames per second, but Piaget chose the modern rate of 24 fps (although some scenes were shot slower for dramatic effect), requiring three rotations per second. Rather than attempting to duplicate the distressed look of vintage film, Circus was carefully photographed on modern black & white Kodak negative film. It was then printed onto color stock with a range of monochromatic tints. The result is a modern re-imagining of silent-era cinematography. 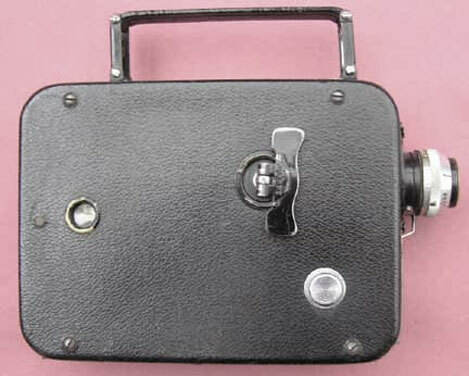 Soviet movie cameras have an aesthetic style reminiscent of medium caliber machine guns or bomb sights. To add to their mystique, the controls are thoughtfully marked in Klingon. What's not to love? 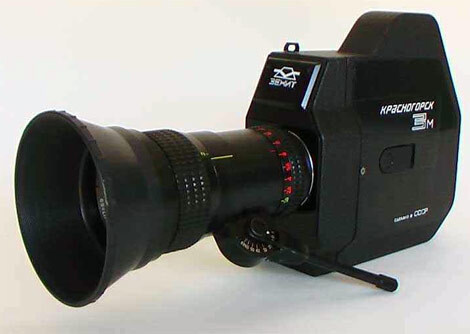 First to strut her stuff on the Retro Thing catwalk is Miss Zenit K-3M. Born in the Moscow suburb of Krasnogorsk in 1990, this 16mm Special Edition beauty features a high-tension clockwork motor and an elegant Meteor zoom lens. If you're gentle, she'll even let you unscrew it. She's intended for amateur use, so expect her to be somewhat noisy in action. Still, she has a certain exotic charm that'll have your friends wanting to check out her viewfinder and loop formers when you're not looking. It's unclear whether the K-3M went into large-scale production, since they're few and far between. This particular model was rescued from eBay by Jian Cyrus Farhoumand. It's not for sale. 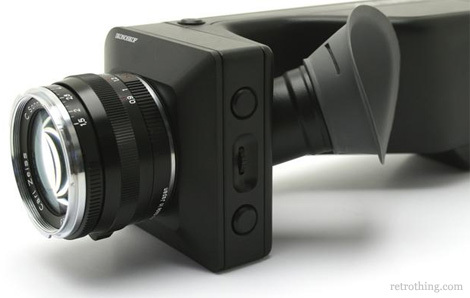 Ikonoskop - Swedish makers of the diminutive A-cam Super 16mm movie camera - have unveiled their next camera, and it's revolutionary. The € 6,950 ($9,800) A-cam dII digital motion picture camera features a 10.6 mm x 6 mm image sensor - the same size as a Super 16mm film frame. It captures uncompressed 1920 x 1080 pixel images in RAW format onto a proprietary 80GB solid-state memory cartridge capable of recording at 240MB/sec. That's twice as fast as its nearest competitor. The camera can shoot at variable frame rates between 1 and 60 fps and captures 2 channel 48 kHz audio (good enough for many documentary applications). 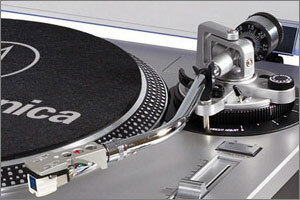 It measures only 22 x 9 x 8 cm and weighs less than 1.5 kg with memory cartridge and battery. It can be equipped with various lens mounts including PL, Leica M, IMS and C-Mount (it ships with Ikonoskop's 9mm f/1.5 wide angle cine lens). The wide range of lens mounts is critical, since good cine lenses often cost many thousands of dollars. Compatibility means that independent filmmakers will be able to use their favorite lenses and rental companies will not have to purchase new optics. Ikonoskop is currently taking pre-orders with production slated to start in "late 2008." If the image quality is up to snuff, the dII could prove to be a favorite camera for indie film production. It's bargain priced (for pro gear), extremely compact and gives filmmakers the option of printing to film without losing resolution or risking ugly compression artifacts. I'm somewhat sad to see a vibrant young company like Ikonoskop step away from chemical film, but at the same time I'm excited to see them meld traditional filmmaking ideas with cutting-edge technology. Me want. 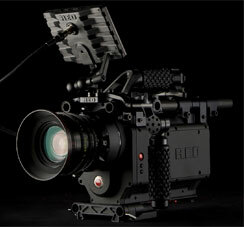 The professional video world is excited about the development of the RED Camera - a film resolution digital video camera. Lots of mystery surrounds the device, even after prototypes were unveiled. My disappointment? The actual camera isn't red. There are lots of practical reasons to not have a bright red video camera (think of all the charging bulls it might attract! ), but that doesn't mean that your editing equipment can't be! 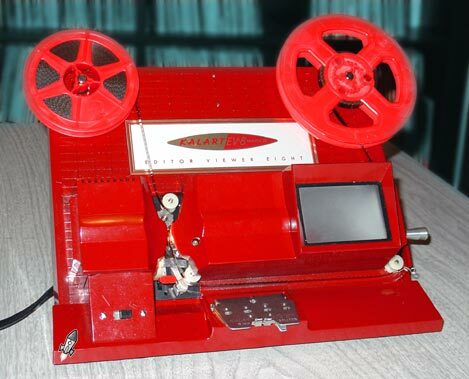 Let's look back some 50 years to Kalart's 8mm film editor - in bright red plastic! This is pretty daring - remember that photo equipment was almost always in serious gun-metal finishes, or dour black. What a great way to perk up the drudgery of editing your home movies! The box promises that through editing you can transform your own films into polished "movieland" type productions with this simple device. 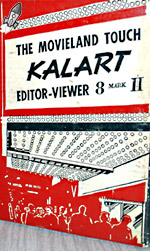 The Kalart even goes so far as to simplify advancing and rewinding the film by just using one crank. 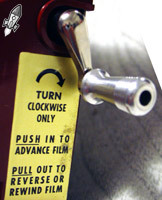 Using a complicated internal mechanism, you use a single crank to move the film forwards and backwards. To be honest, I find the single crank thing more confusing than anything - and the gimmickry that makes it work isn't always the most reliable. So while the rest of the world waits for the RED camera to hit in a big way, I hope that some enterprising manufacturers of editing equipment are standing by with the red paint. The Super 8 film format is now 42 years old and Kodak's product lineup is stronger than ever. 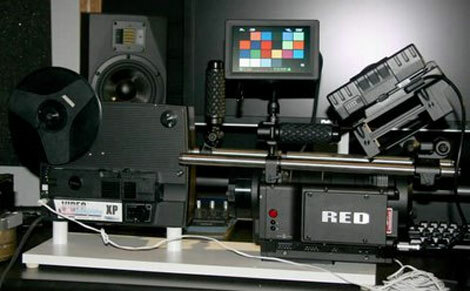 Young filmmakers are often enthusiastic adoptees of the vintage format because of its distinctive look and the low cost of equipment, and the format remains popular for TV commercials and music videos. Unfortunately, looks can be deceiving; the Super 8 party might come to an end sooner than we expect. No new cameras have been developed in the past twenty years, and Kodak's film division has seen a dramatic decrease in sales as consumers adopt digital technology. Fewer than 100,000 cartridges of Super 8 film are sold each year, down from over 17 million in the early 1980s. There are several innovative little companies who could fill the void if Kodak stops production of Super 8 film, except for one awkward little problem: Kodak is the only company in the world that manufactures the little plastic Super 8 cartridge. 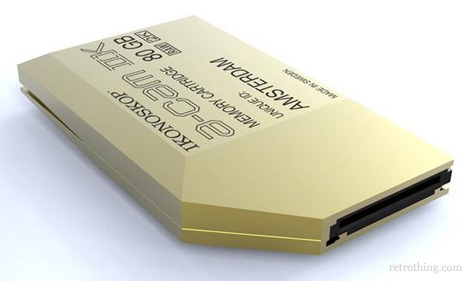 In an effort to reduce the industry's dependence on Kodak, GK-Film in Bielefeld, Germany decided to create a dramatically improved Super 8 cartridge. 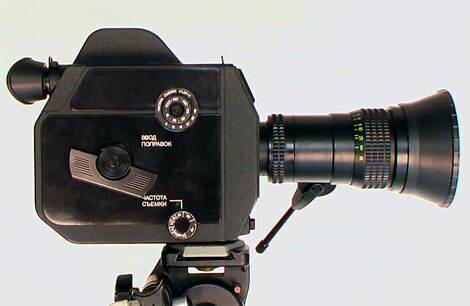 The new design is the brainchild of Gottfried Klose, the man who introduced Cinevia -- Fuji Velvia 50 daylight reversal film -- to Super 8 users throughout the world. 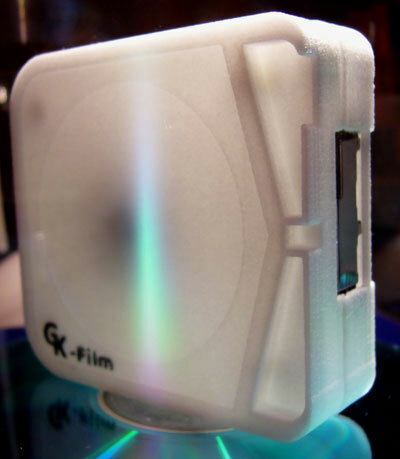 GK-Film used modern computer-based manufacturing techniques to create a cartridge that should outperform the ancient Kodapak design. 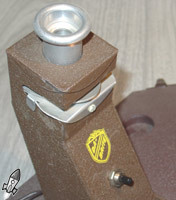 It features a metal film pressure plate, replacing the low-quality plastic plate that pressed the film against the camera aperture in the Kodak design. This should offer noticeably better image stability and more consistent focus across the entire frame. 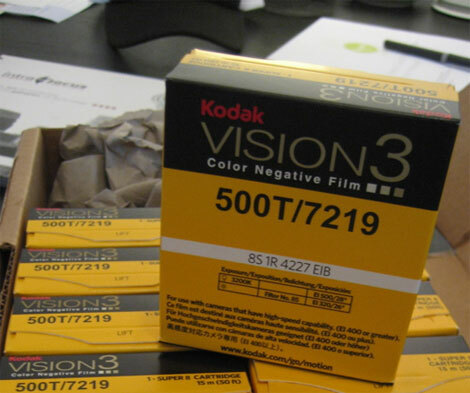 The new GK-Film Super 8 cartridge is currently undergoing testing and should hit the market in early 2008, loaded with amazingly sharp and vibrant Fuji Velvia 50D film. I can't wait! Thanks to computer-based editing, filmmaking is more popular today than it was ten years ago. To get you started, how about The Fujica AX100? It's a tiny Single-8 movie camera produced by Fuji in the early 1970s. It's easy to use, with an extremely fast F/1.1 lens for low-light shooting and one-button point-and-shoot filming. The AX100 uses Fuji Single-8 film cartridges, which are still available for $16 plus processing. If you're really lucky, you might find one with the Fujica MarinePack 8 underwater housing (pictured after the jump). With its targeting sight, weird plastic fins, and suspicious looking lens holes, this is definitely not something to toss into your carry-on luggage. The Fujica AX100 in its optional MarinePack underwater housing. When new, these were waterproof up to 40m (about 120ft). These days, I'd try it in the bathtub first. Perfect for re-enacting Jaws in your neighbor's pool. Filmmaking was a surprisingly popular hobby in the USSR. As with many things in the Soviet era, making movies required a bit of planning and forethought. 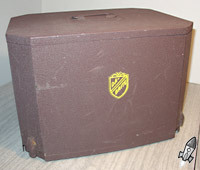 Equipment and film was expensive, so many people belonged to film clubs and were able to obtain film at a significant discount. 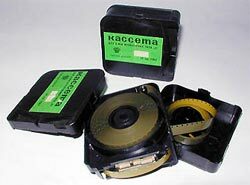 Two major film manufacturers - Svema and Tasma - produced color and black & white cine film, although the color stocks were usually reserved for motion picture and television production. Each new Super 8 camera shipped with a handful of reloadable Super 8 film cartridges, so all you needed was a supply of raw film. 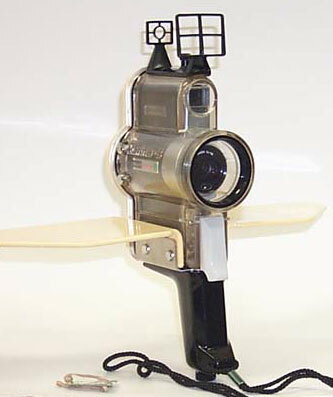 Several cameras - such as the Quarz 2x8 Super-3 above - did away with the cartridge completely and accepted Double Super 8 film on reels. Double Super 8 (DS8) is a hybrid format that uses 16mm wide film to capture Super 8 sized frames. One half of the film is exposed, the reels are flipped, and the other half is shot. 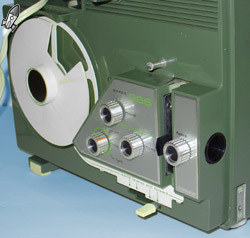 The 16mm strip is cut into two 8mm-wide reels after processing. It was a clever system. 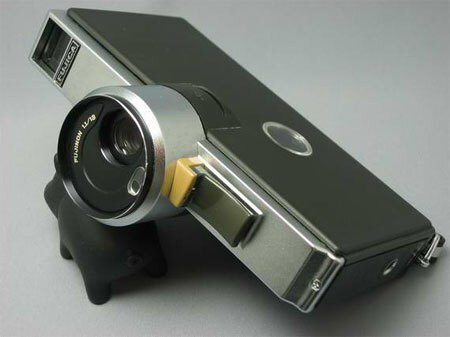 Over 200,000 clockwork Quarz DS8-3 cameras were produced between 1971 and 1983. 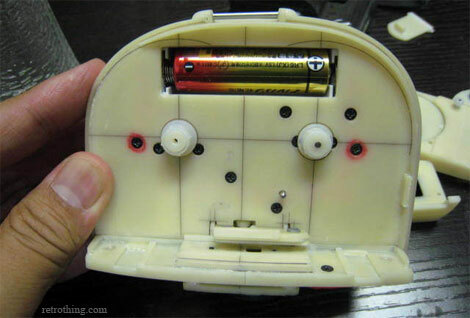 They require no batteries, thanks to a quaint windup motor and a solar-powered selenium exposure meter. Apart from having to wind up the motor every 20 seconds or so, the camera was fairly well specified with an f1.8/9-38mm Meteor zoom lens. 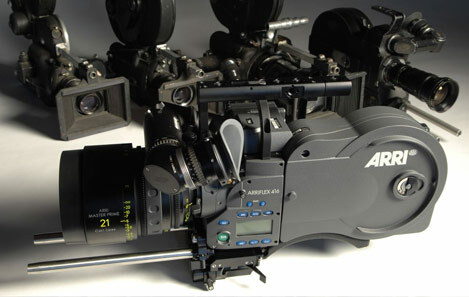 It offered 12, 18, 24, and 36 frame per second shooting speeds, along with a single frame mode for animation. These cameras appear frequently on eBay, sold direct from Russia. Purchasing one is a bit of a gamble: it might have lived in a damp shed for several decades. Instead, I recommend a fellow by the name of Olex Kalynychenko in the Ukraine. He services the cameras he sells, so you know that yours will be in good running order when it arrives. 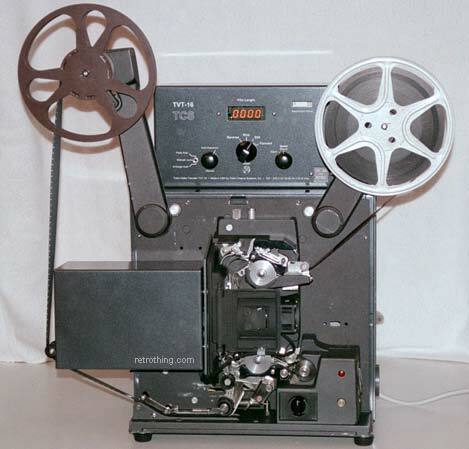 Tobin Cinema Systems is now shipping the TVT-16 16mm film to video transfer machine. While its $4200 price tag might seem a tad high at first glance, it is well within the budget of professional transfer facilities. A significant difficulty faced by amateur filmmakers is the exorbitant cost of getting 16mm film scanned to video. Traditional Telecine transfer can cost up to $600 per hour, putting it out of reach for many budget-conscious movie makers. 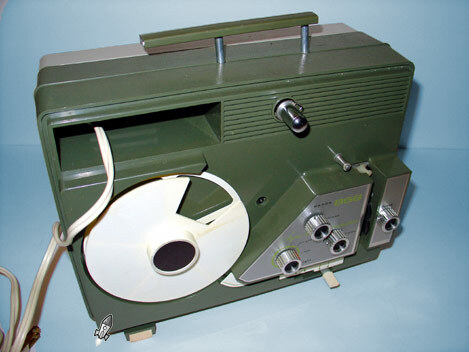 The TVT-16 should level the playing field a bit by reducing the cost of high-quality film transfers. Unlike old-fashioned projector-based systems, the TVT-16 uses a built in CCD module to deliver frame-by-frame scanning in real time, without blended or blurred frames. It incorporates a custom macro lens assembly with a solid state LED light source that provides consistent illumination across the entire film frame. The machine can be ordered with either an NTSC or PAL sensor module that outputs flicker-free video at either 752 or 768 pixel horizontal resolution. Supported transfer speeds include 24 and 16 fps (NTSC) or 25 and 16 2/3 fps (PAL). The maximum reel capacity is 2300 feet, giving one hour of running time. 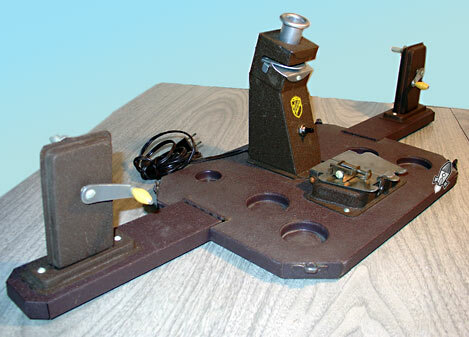 The company also manufactures several 8mm models.